Finally after number of leaks, Samsung has officially announced the Galaxy A6 and A6+ for 2018. These are the latest mid-range smartphones under its Galaxy A series and they are big in the camera department. 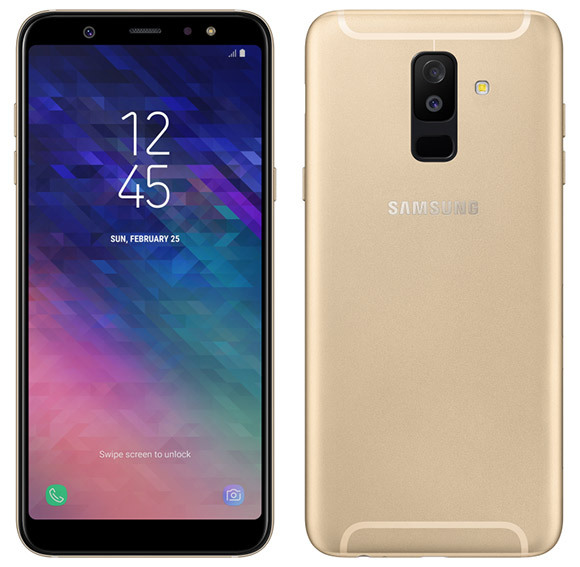 Similar to the Galaxy A8 and A8+, it comes in two sizes – 5.6″ and 6.0″. The Galaxy A6+ is the biggest of the lot with a 6.0″ Infinity Display on a Super AMOLED panel. It pushes a Full HD+ resolution of 2,220 x 1080 in an 18.5:9 aspect ratio. Under the hood, it gets an unspecified Octa-Core 1.8GHz processor that’s mated to either 3GB or 4GB of RAM along with storage options of 32GB or 64GB onboard. Storage is also expandable supporting microSD of up to 256GB. Over at the rear, it gets a 16MP f/1.7 main camera along with a secondary 5MP f/1.9 fixed focus shooter for depth of field effects. Similar to the Galaxy J7+, you can take bokehlicious shots with Live Focus. In front, it gets a high-resolution 24MP f/1.9 camera that comes with adjustable front LED flash assist. In the audio department, the Galaxy A6+ also gets a Dolby Atmos optimised audio for a more immersive experience but it’s only supported when you plug in your headphones. Juicing up the Galaxy A6+ is a 3,500mAh battery which charges via micro USB. It also supports 802.11/a/b/g/n (2.4GHz/5GHz) WiFi, Bluetooth 4.2 and depending on the region, it also supports NFC with Samsung Pay. Out of the box, it runs on Android 8.0 Oreo. 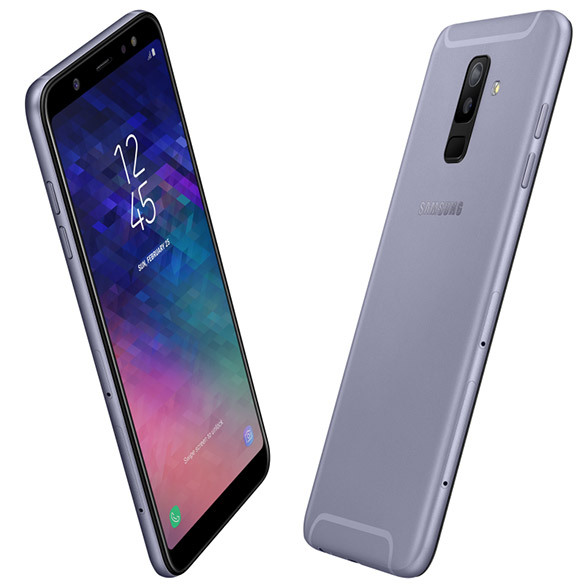 The Galaxy A6 comes with a 5.6″ Infinity Display that does a lower HD+ resolution of 1,480×720. Under the hood, it runs on a 1.6GHz Octa-Core processor (likely an Exynos 7870) that’s also mated to either 3GB or 4GB of RAM. You also get either 32GB or 64GB of onboard storage which is also expandable via microSD. Unlike the bigger A6+, the Galaxy A6 comes with a single 16MP f/1.7 camera at the rear while the front settles for a 16MP f/1.9 selfie camera. You also get Dolby Audio enhancement for the headphone jack and it comes with a 3,000mAh battery which charges via micro USB. Do note that the Galaxy A6 and A6+ don’t come with dust and water resistance like its more premium A8 series. The latest duo also comes with Bixby Vision, Bixby Home and Reminder but it doesn’t have Bixby voice that’s offered on their flagship models. 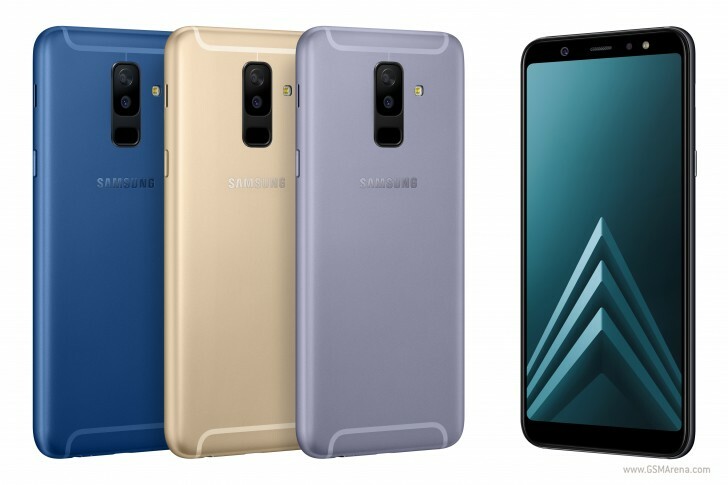 According to Samsung, the Galaxy A6 and A6+ will be available starting early May in selected European, Asian and Latin American markets. It will be rolled out later for other markets such as South Korea, Africa and China. So far there’s no news yet on Malaysian pricing and availability.